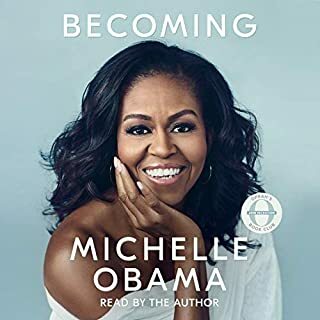 In this audiobook she describes what it was like to run against Donald Trump, the mistakes she made, how she has coped with a shocking and devastating loss, and how she found the strength to pick herself back up afterward. 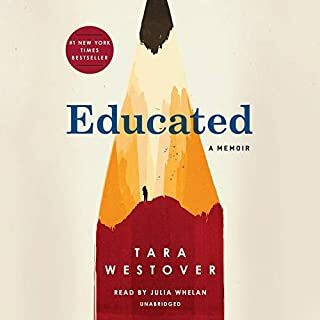 With humor and candor, she tells listeners what it took to get back on her feet - the rituals, relationships, and reading that got her through and what the experience has taught her about life. 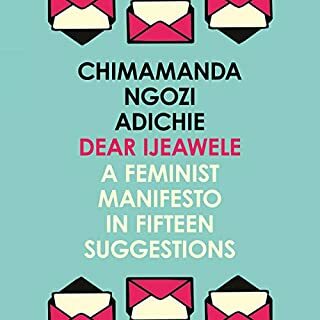 She speaks about the challenges of being a strong woman in the public eye, the criticism over her voice, age, and appearance, and the double standard confronting women in politics. She lays out how the 2016 election was marked by an unprecedented assault on our democracy by a foreign adversary. By analyzing the evidence and connecting the dots, Hillary shows just how dangerous the forces are that shaped the outcome and why Americans need to understand them to protect our values and our democracy in the future. The election of 2016 was unprecedented and historic. What Happened is the story of that campaign and its aftermath - both a deeply intimate account and a cautionary tale for the nation. Amazing woman telling her story of the presidential election that had a woman candidate for the first time ! A bit too long though. 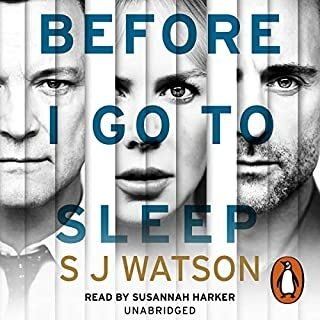 I started reading the book but decided to listen on Audible for the remaining half. Enjoyed hearing Clinton’s words from her. Despite what some have said this isn’t a novel about it being “everyone else’s fault but her own.” Sec. Clinton takes a lot of the blame and shoulders much of the responsibility of how the campaign was laid out. She discusses how she campaigned and who her team members were. 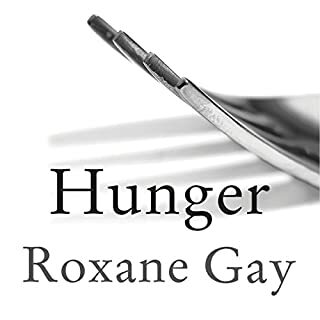 I like her voice in this novel because she isn’t holding back, afraid of making people angry. She tells it like she saw it. Sec. Clinton did discuss funny things like breakfast because as she states people would ask her those types of questions all the time. She wrote of her concerns about the present administration, Russia and Comey’s influence. When I listened to this and knowing what’s happening currently it served to make me more concerned with our present government. 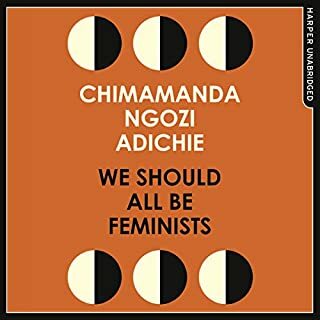 She ends the book with how to get involved and how to stay the course. 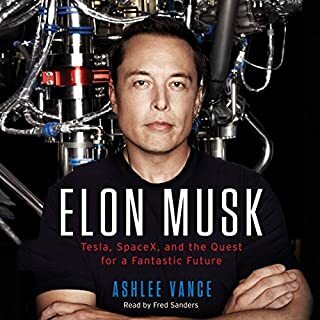 Overall, great read/listen. 262 sur 372 personne(s) ont trouvé cet avis utile. 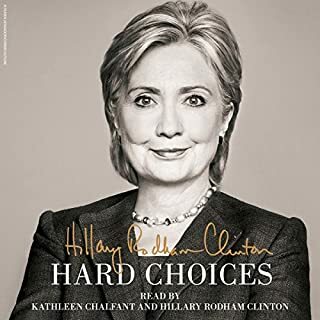 Hillary spends a long portion of this book attempting to make herself relatable, with folksy wisdom and pop culture references. Her email defense is 'everyone else was doing it' (no one else had their own server) and conveniently omits any discussion of the DNC or conflicts of interest with her foundation among other things. She makes insinuations and a few allegations, but ultimately she believes that she has all of the answers for our country's woes and that she wasn't given a chance to enact them. I see this book as her attempt to control the narrative and to make money. I ranked this low because I don't believe that there was much truth in the book and that much was omitted. 198 sur 281 personne(s) ont trouvé cet avis utile. 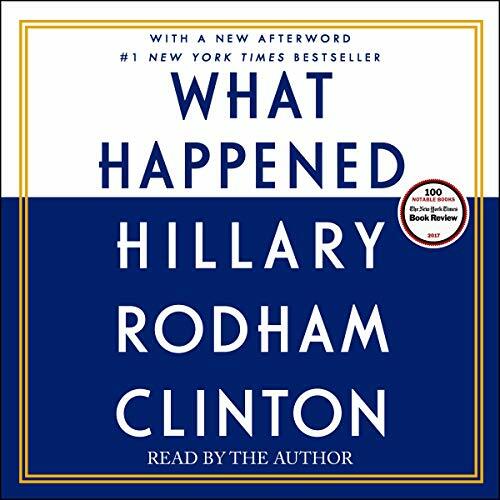 After long unbearable hours of listening to Hillary Clinton talk about what she believed happened before, during, and after the election, I have finally finished the book. 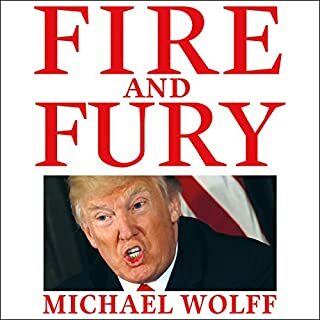 I give this book 1 out of 5 stars for several reasons. First, Hillary claims to not have had a whiff of entitlement during the campaign, but from what I observed, that is pretty far from the truth. Second, while she says that she takes responsibility for her loss, she spends the entire book blaming everyone from Russians to Comey to Sanders to even Obama, not to mention Republicans in general. Third, she adds a lot of irrelevant information about her life that had nothing to do with "What Happened," which made the book seem so much longer and aided in identifying her narcissism. Fourth, she repeatedly mentions that the majority of Americans supported her, but that isnt true. There are over 200 million voting age Americans. There are over 153 million registered voters in America. And she only got a little over 60 million to vote for her. Of the people that did vote, she didnt even break 50% of those. Fifth, she completely disregards 3rd party candidates except for when they nice things about her. She completely manipulates their words to make her look good. And she thinks that 3rd party voters, had they not voted for Trump, would have voted for her, which is far from the truth. Hillary Clinton had the opportunity to redeem herself, admit her faults in a convincing way, and accept some actual responsibility. She didn't, and that makes all the more satisfied in not having voted for her. 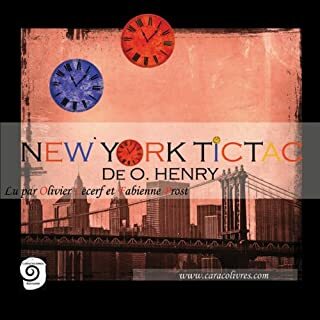 209 sur 297 personne(s) ont trouvé cet avis utile. thank you & I will always be here to make your life hell. I picked up this book to find out what she really thinks from her point of view. I will just say she is to deep in her own world no one will ever change her mind. 151 sur 215 personne(s) ont trouvé cet avis utile. This book is brutal. I was expecting explanations of how she should have ran a better campaign or how it could have been done better. Nope. Its endless talking about how she was coping with the loss of the election, how her and Bill watched CSI and some other TV shows, with some clever favorite character commentaries. 139 sur 198 personne(s) ont trouvé cet avis utile. WOW - What's her reality? What would have made What Happened better? I think the truth, I believe that HRC truly believes what she wrote however you can't blame everything on FOXNews, Sen. McConnell, Jim Comey, The Founding Fathers (Writers of the Constitution), Sen Sanders, the Republican Party (writ large) and not come back to a fundamental truth. HRC was a miserable candidate and her book further underlined that basic fact. She may very well have been the most studied and well read candidate in modern history however the plans she espoused were another chapter of a playbook that is currently driving this country into bankruptcy. It is good and right to be generous however it is lost on her that a large portion of society that she is nobly trying to help have no skin in the game and as such just take and continue to expect more. That is the fallacy of her candidacy sometimes hard work and excellence is driven by being told no and pushing yourself harder to get to yes. I am convinced she does that but the constituency she wishes to serve does not; here in lies the problem. HRC is not a bad person she just has some bad ideas that have been tried and failed. It is also clear that she is a narcissist of the first order and when it all falls apart then she wants nothing to do with the outcome. I do not believe her hypothesis that we are not ready as country for a female president. I do believe that we as a country are not ready for HRC as president and 33 states comprising of 306 EC votes agreed. Contrary to her comment the electoral college is essential to ensure citizens (yes citizens) of less populated states still have influence over national electoral events otherwise CA, FL, TX, MA. NY and IL would elect every president and thereby that elected official would be beholden to those narrow constituencies. Popular vote only matter Madame Secretary in the state by state contests since we are confederation of the states and the states vote to elect the President of the US as designed by the Constitution that you profess to want to support and defend as the "worlds oldest and most successful democracy". Please as a student of history make sure to remember that history is written by all involved not by just those democrats that you agree with. 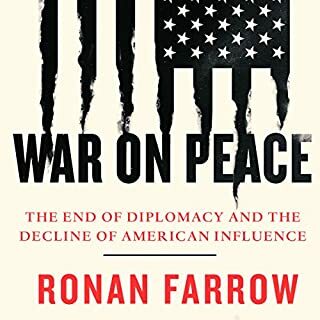 This is a must read as to why although the Trump victory was one which I hated was the necessary outcome of the 2016 race. Did Hillary Rodham Clinton do a good job differentiating all the characters? How? HRC should have left the narration to a professional at times she sounded like a pedantic professor allowing herself to teach a freshman collegiate English class and at other times like my grandmother at story time. I was angry that HRC did not get why she was not elected, that she did not ultimately understand the system that repudiated her. Sadness at her patronizing tone and disappointed that she professes to support our constitutional democracy but does not want to abide by it when it does go her way. I think this is a must read. For those that are die hard Trump people; other that wanted to feel the Bern and most like myself who prayed that someone, anyone other than Trump would stand up against Hillary. Sadly for Hillary if another conventional candidate had run against her (Kasich, Rubio, et al) I think her defeat would have been complete and that her drubbing would have shown up in the popular vote as well; however Trump being Trump he tried actively to shoot himself in the foot multiple times and still managed to get elected because she was such a miserable candidate. 195 sur 278 personne(s) ont trouvé cet avis utile. 175 sur 250 personne(s) ont trouvé cet avis utile. &quot;Humans, I am one of you, dramatic pause, I consume your entertainment media, dramatic pause, you can trust me white female humans.&quot; One of the most painful, egotistical attempts at self promotion I have ever heard, read with the enthusiasm of Siri's less emotional older, meaner sister. 124 sur 177 personne(s) ont trouvé cet avis utile. I'll start by saying that HRC (Hillary Rodham Clinton) does a great job of narration. What Happened is well written and it appears to accurately reflect her theories and beliefs. The content, with one relatively minor exception, is totally consistent with HRC's overall philosophy as it has been expressed since 1992 when I first became aware of her. I listened to every word of What Happened and then I went back and listened to several key chapters a second time. My political philosophy is that of a classical liberal much as Hayek described himself. Since the Democratic Party has moved and continues to move so far left, I have not had a home there for many years. I tend to vote Republican. I believe in limited federal government, our three branches of government, personal freedom and absolutely free speech. My age is 74 and I have voted in every presidential election beginning in 1964. From my perspective both major political parties nominated presidential candidates who should have been disqualified form any political office (by their parties) based on temperament and unjustified self aggrandizement. But there was a decision I had as a citizen to vote for a potential winner, so Trump and Clinton were my choices, I decided while waiting in line to vote that the future of the US Supreme Court required my to hold my nose and vote for Trump. President Obama filled the lower courts with judges who do not believe in the US Constitution and will not follow it, and the highest court already has four justices of similar mind so ultimately my obligation to vote against HRC was clear. What Happened was clearly written for and addressed directly to left wing Democrats, her natural supporters. It is her attempt to minimize in their minds any tendency to blame her for the election loss. I am not in her target audience in this book. On several occasions in the book she appears to take part of the blame, but she then immediately starts blaming the press/media, James Comey, voter suppression, the Electoral College system, Bernie Sanders, uninformed voters, working class voters, white women voters, Trump's lies about her, stolen emails of John Podesta, public misunderstanding of the goodness of the Clinton Foundation, and any number of other factors and people. In the end I am persuaded she has learned nothing except how to heap blame on others. In the final chapters of What Happened HRC delves deeply into how her personal religious beliefs inform her political beliefs. In summary, What Happened is a well written and well narrated book. It is also a book of excuses and of unwillingness to face the fact that she was a bad candidate. 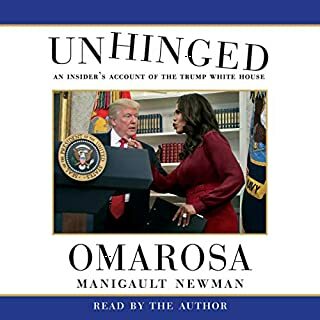 It is a book that expresses fully her hatred of Donald J Trump and people who had the audacity to vote for him. Despite the fact that stories from mainstream media actually became a major part of her campaign, she complains that they did not do enough to support her. I cannot recommend against What Happened because her target audience of leftist Democrats likely will feel better after her 17 hour pep talk that finds her and them blameless. 241 sur 345 personne(s) ont trouvé cet avis utile. It’s a darn long read. Or in my case, with the audiobook, a darn long listen – 16hrs 50 min in total. That’s long. I admit, I didn’t enjoy most of the book tremendously. 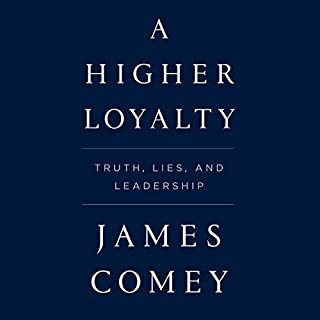 It dragged on, it was filled with anger, and if you thought you heard the word “emails” all too often before election – this book might just push you over the edge. I do think that she might look back at this book in a few years wondering if she should have had it reviewed just one more time very carefully before publishing. 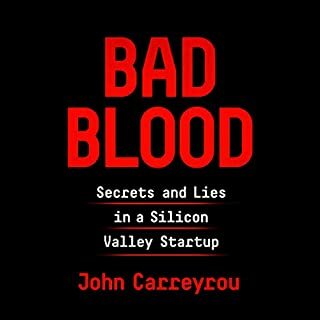 I was ready to give this book a less than fortunate rating – all too many repetitions, too much anger, too much finger pointing. But here is the thing. She deserves to be listened to, she gets to point fingers, she makes a good case for what happened. And she doesn’t ignore her responsibility in it all. She is the first to own the loss and identify every wrong turn she took. That deserves credit. Could the book have been shorter? Definitely! But you know what? She has always been accused of not sharing enough about her true self, she was always criticized was not letting people look behind closed doors – here you have it all. And guess what – now people are complaining that she shares too much! There is just no way she can do it right. So, I listen to the TV shows, books, newspapers she enjoyed since November 2016. I endure hearing – what appears every single person’s name and role in her campaign. I stay with her when she quotes letters and conversations in what sometimes appears a seemingly endless fashion. We always asked for that – for her to let us in. Now, we should listen. You might not agree with everything she writes and concludes – that’s fair. I know, I don’t. But she explains what happened very well – though you wouldn’t think so over the first few hours. But it all comes together. Her own mistakes, James Comey, Russian cyber attacks, and more. 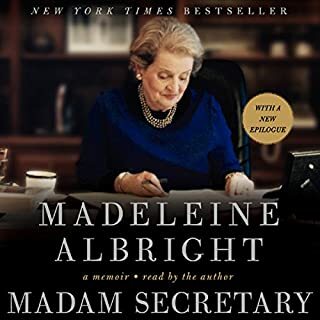 She summarizes it well when she says – towards the end of the book – that pointing out all the elements that led to her loss doesn’t mean she doesn’t take responsibility, it means that in addition to her mistakes there were other elements that cannot be ignored and require investigation. She is right about that. 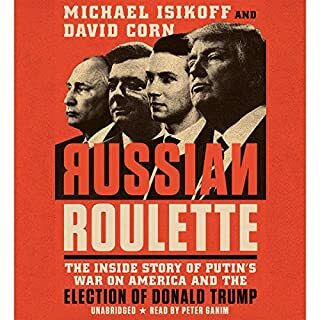 One part of the book I recommend strongly to cross-read with other literature, is the one about Russia. She feels very strongly about Putin. And while I admit that she certainly knows the politician better than I do, I often wonder if she might have locked herself in a corner with her stance. I can’t say for sure, but I do recommend reading Gabriele Krone-Schmalz to get an experts opinion with a different stance – just to balance out the bias. I am not actually sure if Krone-Schmalz’ books have been translated into English, but if you speak German you are in luck. In any case – if you lasted until the very last chapter of What Happened?, it shall have been worth it. “Resilience” – the last chapter. It is wonderful. If the entire book was written in that tone, it would be beautiful. But alas “Resilience” focuses on the future. The other chapters analyzed the past. And while the past had lovely and wonderful passages (about her marriage, about her best friend and partner Bill, about Chelsea, about friends, etc. ), she was angry. She was angry about what happened. And you can tell. But “Resilience” is hopeful, it’s positive, optimistic, it’s filled with love and kindness. To fully appreciate this chapter however, I fear, it makes sense to read the entire book. Her book taught me a lot. About her, about her politics, about America. I appreciate it all (well, almost all). “Resilience”, though, is the chapter that touched me deeply. And it is the chapter that put her anger into perspective and leads me to give her one star more than I had intended. I recommend this book to anyone that finally wants to see the real Mrs. Clinton. You can’t make that stuff up. An absolute must read no matter what you thought you knew. Deeply saddening, gratefully inspiring, and a warning we must all hear with an open, critical mind. Clear, honest, detailled, passionate, caring - The Madam President at least in our hearts and minds! Keep going! Well-balanced and authentic personal account. of what happenend. Thoroughly enjoyed Clinton's audio book. Highly recommended in terms of authenticity and serving in public office. 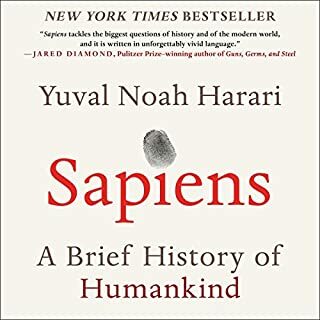 Great book, worth reading! Her immense knowledge and experience is captured - Russia and modern cyber war.. Gut gelesen, vielleicht ein bisschen zu lang. Gut gelesen, interessant Hilarys Erklärung zu hören. Hilary hat eine ganz angenehme Stimme. Vielleicht ein bisschen zu lang. Although I'm sick of the status quo of the world, since I'm not an American but i would've voted for her if i were. Das Warten auf dieses Buch hat sich definitiv nicht gelohnt. Ich habe den Wahlkampf von HRC aufmerksam verfolgt und von diesem Buch noch mehr Hintergrundinformationen erwartet. Fehlanzeige, das Buch gleicht mehr einem mittelmässigen Reisebericht ohne Tiefgang. Was genau hat Sie an What Happened enttäuscht? HRC heult 16 Stunden lang (mit emotionsloser) Stimme herum und stellt sich dabei als Super-Heldin dar, welche ein Marvel-Comic-Book Held sein müsste. Würden Sie es noch mal mit einem anderen Hörbuch mit Hillary Rodham Clinton versuchen? 4 sur 15 personne(s) ont trouvé cet avis utile.